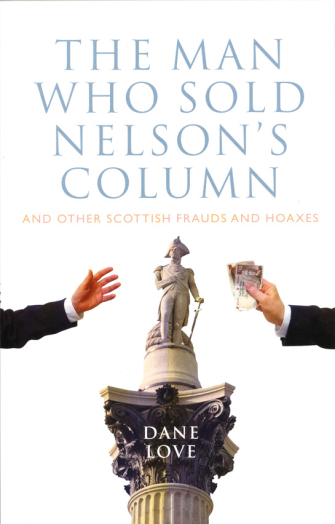 The Man Who Sold Nelson's Column is currently out of print. The Bogus Laird; Loch Ness Monster hoaxes; Burns Temple Hoax; Highland Famine Fiddle; false military hero; Prince of Poyais; The Buchanites; Forgers; German Attrocity Letters; MacNab of MacNab; Old Boy at School; Laird of Drumblair; ‘Antique’ Smith; Electric Medicine, Bogus Minister; MacPherson’s Ossian, Perfect Hosts and the Bogus Lord. Featuring an astonishing variety of frauds spanning hundreds of years, this book offers a fascinating and entertaining insight into human nature, showing how inventive—and gullible—people can be.